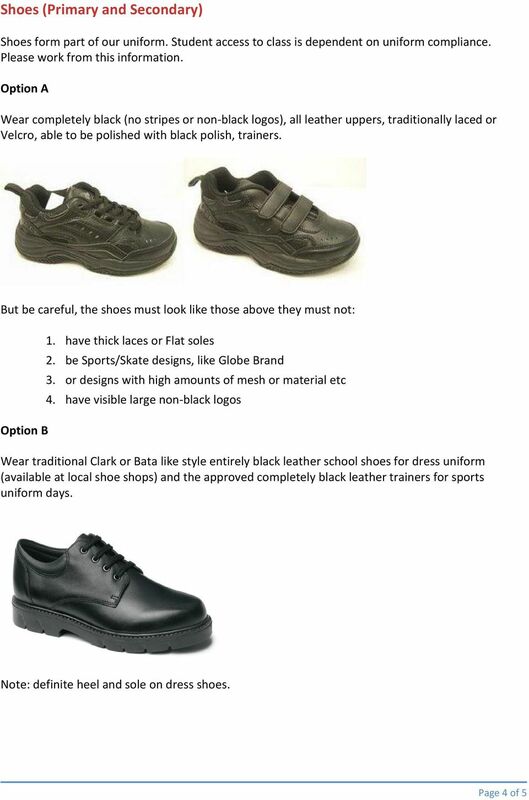 Download "Uniform Statement. Whitsunday Christian College. 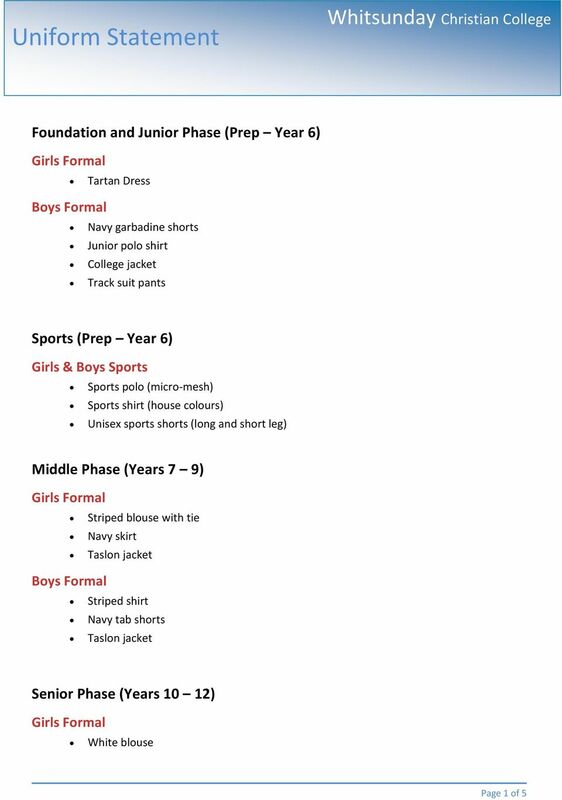 Foundation and Junior Phase (Prep Year 6) Sports (Prep Year 6) Middle Phase (Years 7 9)"
School Uniform. Dress/skirt length. Underwear (including T-shirts) must not be visible. In special circumstances, assistance with uniform items may be given. Requests to the Business Manager. 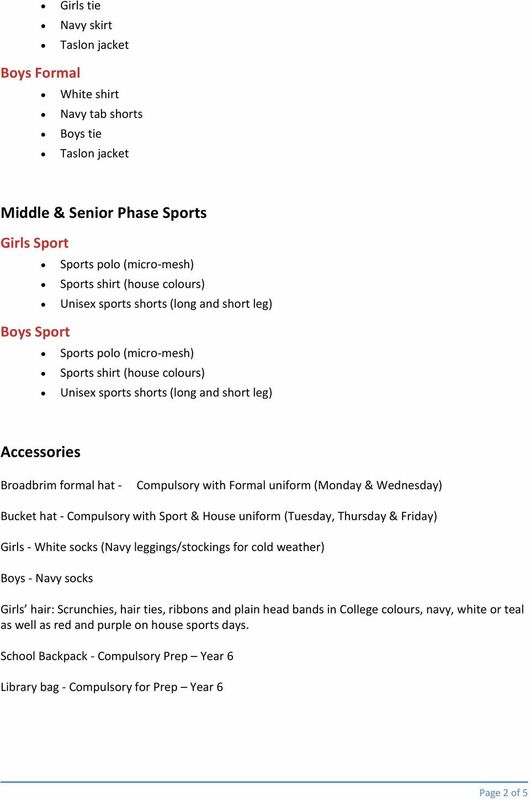 CEDAR COLLEGE PRIMARY SCHOOL (R-6) UNIFORM POLICY UPDATED JANUARY 2015 CEDAR COLLEGE PRIMARY SCHOOL Discover Jesus Display Love Develop Self Cedar College 215-233 Fosters Road, Northgate. Ph: 08 8261 3377. PURPOSE AND CONCERNS. We believe that these aims can best be achieved with the active support of all members of our School community. 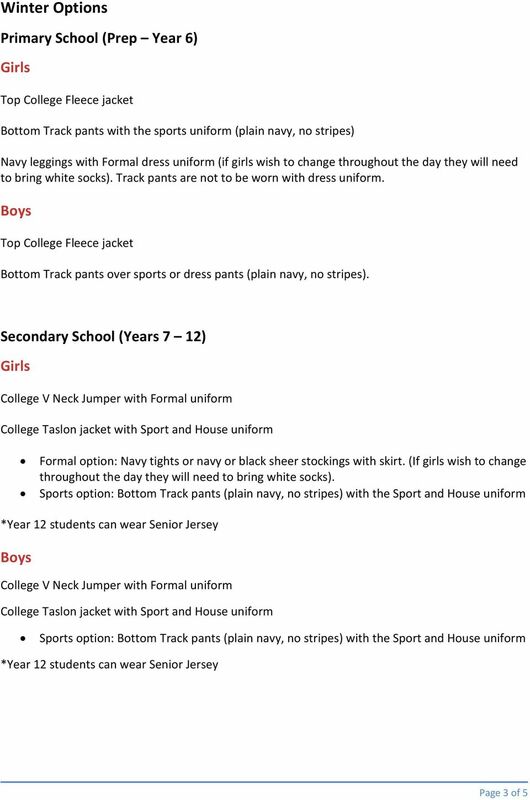 AIM: To promote equality, respect, dignity and justice through the wearing of St Patrick s School uniform. 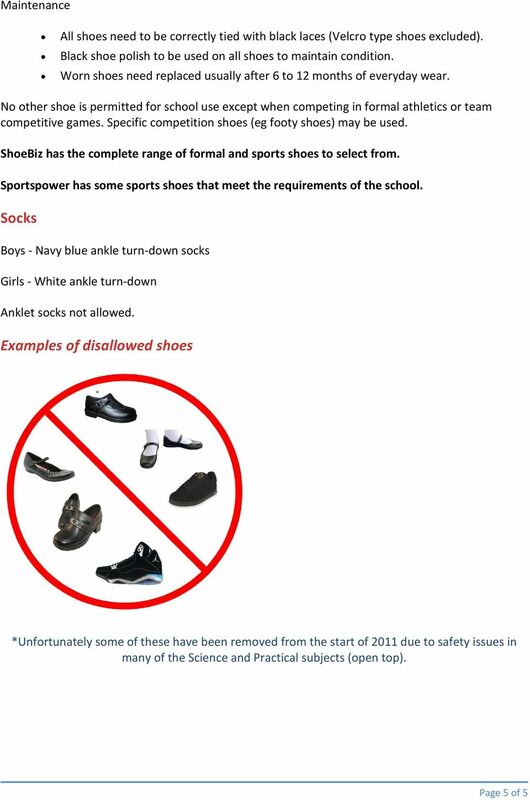 Uniform Policy Uniform Guidelines They are NOT to be worn in the classroom, between classes, or during transitional times.